University parapsychologists Dr Peter Venkman, Dr Raymond Stantz and Dr Egon Spengler lose their research grant and decide to open their own business, Ghostbusters, containing the spooks and spectres that call Manhattan home. Meanwhile, in an apartment on 55 Central Park West, Dana Barrett becomes possessed by the demonic spirit of Zuul and the Ghostbusters must come together to avert disaster. 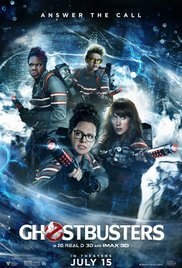 Ghostbusters (1984 Film) is not currently showing anywhere.